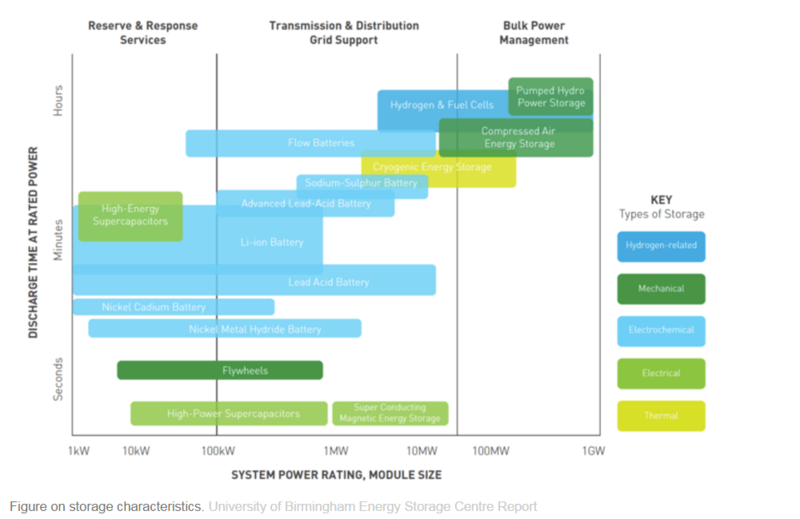 There are many different kinds of energy storage technologies, each with its own advantages and drawbacks. Lithium ion batteries are the most popular form of storage at the moment, but according to Roger Dargaville, Deputy Director of the Melbourne Energy Institute, they are not always the cheapest option. Nevertheless, lithium ion will probably be the dominant option, not because of economics, but because of human behavior. Courtesy of The Conversation. Demand in Australia’s National Electricity Market has been falling. Dr Roger Dargaville (@rogerd70) is the Deputy Director of the Melbourne Energy Institute. He is an expert in energy systems and climate change, specializing in large-scale energy system transition optimisation, and novel energy storage technologies such as seawater pumped hydro and liquid air energy storage. He has conducted research in global carbon cycle science, simulating the emissions of carbon dioxide from fossil fuel and exchanges between the atmosphere, land and oceans as well as stratospheric ozone depletion. He leads a research group of PhD and Masters students working on a diverse range of energy related topics including disruptive business models, EROI, transmission systems, bioenergy, wave energy and high penetration rooftop photovoltaics systems. He coordinates the subjects Renewable Energy and Climate Modelling as part of the University of Melbourne’s Master of Energy Systems degree. Is this an old article, or am I missing something? The price for Lithium storage in SA is already far cheaper than that $1000AU / KW point. SolarQuotes has some math up on their blog that shows running costs of 23c per KWhr for the Tesla 2. Surely the author must be aware that his math is already outdated? Given that the author talks about ‘energy’ not just ‘electricity’ it’s odd that heat storage isn’t mentioned. That’s a huge issue. And heat storage is dirt cheap. Also he seems to ignore the fact that people may buy large domestic batteries for other reasons, namely because they’re in their electric car. “Currently, batteries cost A$1,000-3,000 per kWh”. Very strange statement, as the highest-profile home storage system, Tesla’s Powerwall, already is much cheaper. And BNEF reported that battery (pack!) prices plunged to 350 $/kWh already (https://www.bloomberg.com/news/articles/2016-10-11/battery-cost-plunge-seen-changing-automakers-most-in-100-years). Costs would be even lower, reportedly around the 200 $/kWh already. * Hydro as a much larger reaction time than batteries. * How would you use hydro when more PV electricity is produced than LV grid capacity? I agree with the other commenters that the use of outdated prices invalidates most of the argument of the article. There is also an application that is overlooked by the author. 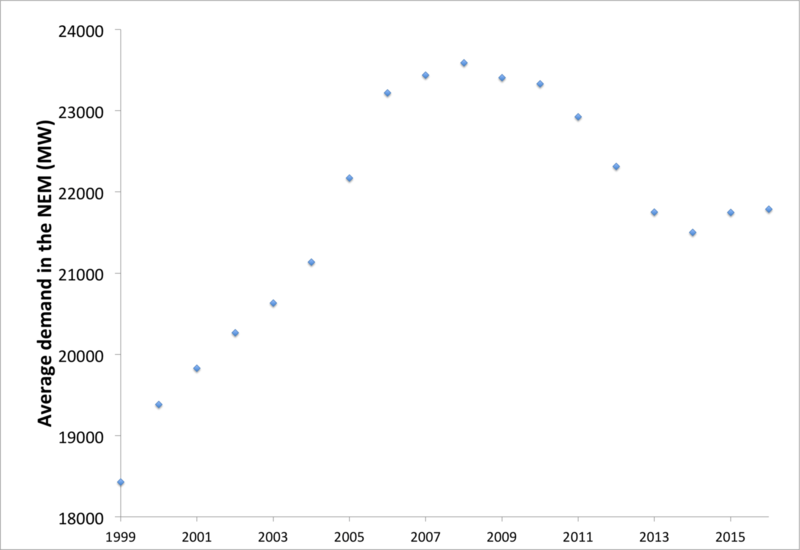 In large parts of the world the cost of electricity from PV systems has dropped well below retail rates. Feed in tariffs, if present at all, often have done the same. In this situation cheap battery storage makes it financially attractive to build PV systems with a high self-usage of the produced power. These systems are not necessarily the optimal solution for the grid as a whole, because often PV power will be stored with an energy loss at times when the owner is not at home, but when the grid could use the power very well. However, it will make it possible to build PV systems that would otherwise not be financially attractive, especially in the case of PV-hostile vertically integrated utilities. A rather lame article, as noted by other comments. Even the headline gets off on the wrong foot. “Batteries aren’t always the cheapest option”??? #Batteries are almost never the cheapest option for #EnergyStorage, that would be #Thermal which the author somehow completely missed in canvassing types of storage, yet mentioned such out there options as cryogenic? Judging from the negative comments above, Dr. Dargaville has stirred up a hornets’ nest of outraged defenders of battery energy storage. Frankly, I don’t see what the fuss is about. Read the title: “Despite the hype, batteries aren’t the cheapest way to store energy on the grid”. Sounds like a reasonable thesis to me. The author does support it. The reference to storing energy on the grid makes it clear that the article is about large scale electrical energy storage — or if one must be pedantic about it, storage of energy that can be more or less easily converted to and from electrical energy. So disparaging the article for failure to discuss thermal energy storage seems a bit out of bounds. I’m also puzzled by Mr. Schram’s statement that “the comparison between hydro and batteries is not extremely relevant as they are two completely different products.” Of course they’re completely different products. That doesn’t alter the fact that one is much cheaper than the other for grid-scale electrical energy storage. Perhaps the commenters feel that the lower cost of pumped hydro over batteries for energy storage on the grid is so obvious that it’s not worth writing about. But it’s evidently not obvious to the policy makers and investors whose plans for a clean energy future are predicated on a continuing plunge in the cost of battery storage. It may be that the plunge will continue long enough and fast enough to bring those plans to fruition. But fundamental issues, including supplies of lithium, the difficulty of recycling, and the limited lifetime under deep cycling, make that far from a sure bet. So I, for one, agree with the author that it’s time we paid more attention to alternatives to battery storage. I find it very difficult to find concrete numbers for large scale grid storage. I did recently see a comment that batteries have now about reached the cost of pump-up hydro when the batteries are cycled about once per day. PuHS is still cheaper when it comes to storing large amounts of energy longer. Where we are probably heading is that batteries will serve most of our storage needs for one to two day blocks with a smaller input from PuHS. When wind and solar produce less than demand for more than a couple of days we’ll need the larger scale storage provided by PuHS. When we’re heading into a stretch of low wind/solar we can start pulling from hydro storage on a 24 hour basis. During low demand hours recharge our battery banks. Then pull from both PuHS and batteries during high demand periods. Roger Arnold’s insights are not only the most reasonably couched, but cogent as well. Ever since UPS systems were supplied for black-start, short-term DCS support, etc., there’s always been a recognized penalty for double-conversion. And while Tesla et al may be able to advance small-scale, home models, that’s not where real demand is (other than aggregated such as AC requirements on a hot day)…grid level demand. Is anyone going to suggest that batteries, solar, wind can start even one steel mill requiring 250MW for cold start? The real load demands from manufacturing, as just one example, are mind-blowing in scale. And while some profess to loath the issues of coal mining and coal power generation, they will completely overlook the huge environmental costs associated with high-tech batteries both in mining exceeding rare minerals (which means huge amounts of earth must be removed and processed to gain fractional amounts of minerals) AND the disposal issues. Are we not chaining ourselves and the future to mountainous landfills filled with spent lithium ion batteries? And what of the present? Imagine a freeway accident in which a semi powered by lithium and several cars get piled up in a fog-bound incident with batteries crushed and innards spilled…as these things will invariably happen. What Telsa and the like are doing is shoving the real, total costs out to the future! That is disingenuous and even fraudulent. As an aside, I am always amazed at how strident and ascerbic the responses are from certain respondents. Rather than use thoughtful, scholarly responses, these kind love to revert to name-calling, insults (veiled or outright) and spout purported ‘facts’ and ‘figures’ with no substantiation. Anyone who can post a response on Linked-In can also start an intelligent discussion outlining an opposite position. There is no need nor call for lack of civility. Tim McCreary, interesting observation that others engage in name calling which is what you appear to “spout” as you put it. How did you conclude that the real demand is at the substation level. The real means is by definition at the point of consumption and that point is also the highest value of storage, avoiding all the peak infrastructure and line losses you seem to think are fine. I think this comment thread risks escalating into something unnecessarily hostile… . I think the problem on the internet is that it’s easy to write things that are more direct and less polite than one would say if one were speaking to someone face to face. It’s a bit like people behaving badly when they get behind the wheel of their car. On re-reading it, I see that my own comment sounds far more antagonistic than I intended – perhaps borne of frustration of working on heat policy for many years and feeling that the subject gets insufficient attention compared to electricity – despite (in the UK) meeting about half as much final energy demand. Interesting point on industrial demand. And certainly something we need to solve at some point. I guess my plea would be that we not let the question of how to decarbonise steel mills (or aviation, or other hard to treat sectors) distract attention from the huge amount of progress that we could make right now on the more low hanging fruit – for example reducing emissions from buildings through energy efficiency. On the impacts of battery production, this is clearly an important issue. Given the urgent need to decarbonise the transport sector (which essentially means cars) I’d like to see massively more investment in cleaner and cheaper battery technology. The issue here is the storage capacity required when combined with enough solar PV. In the US southern states, S. Africa and S. Australia solar utilisation rates are very good at around 20%. In a home equipped with two Powerwall units combined with enough solar PV panels and a daily power consumption of <20kWh a grid connection might not be needed. However in northern Europe solar utilisation is much poorer at around 10% and there are long periods when the sunshine is very poor. Here battery storage is too costly to make the economics works for now.